Nixy started Black Friday early! Save 25% on their entire range now! Are you looking for an affordable All-rounder iSUP that has everything you need to get started? 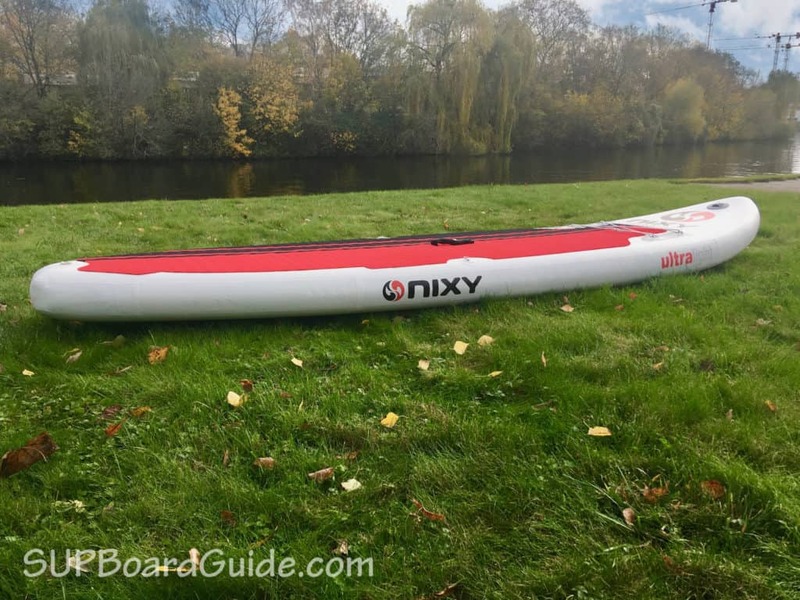 We implore you to take a closer look at this Nixy Newport 10’6 All-rounder, below we’ve detailed everything from accessories to materials and performance. In with the new(port) and out with the old. 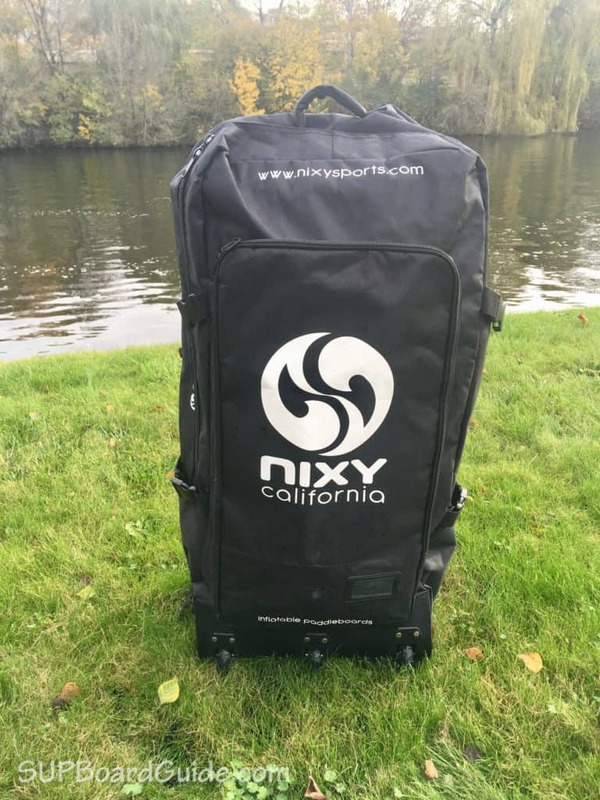 NixySports are among the hundreds of new retailers popping up since iSUP’s started increasing in popularity. They’ve only been manufacturing boards for five years, but their boards would make you think they’ve been at this for much longer. Given the title of an all-rounder, we would say the Newport was a wonder to paddle around. Something always has to be compromised on all-rounder boards, but the versatility makes up for these small compromises. 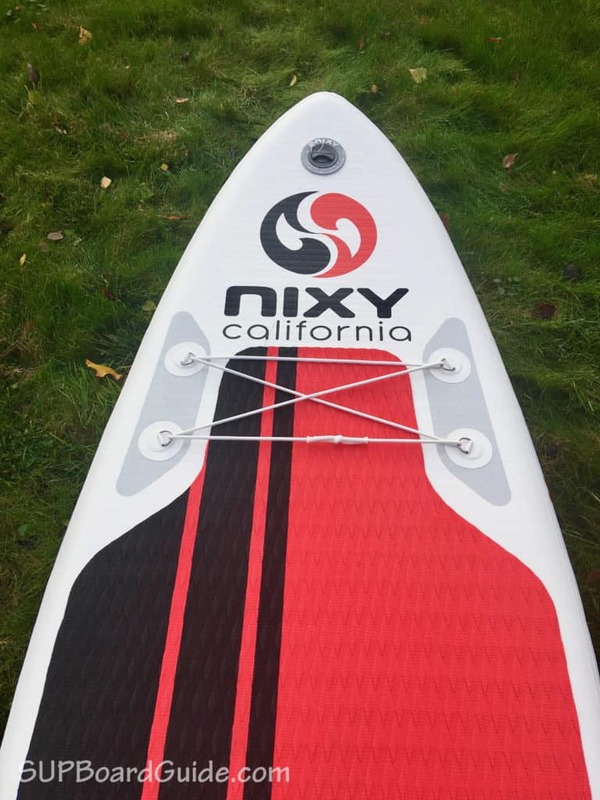 You’ll see on other boards like the Red Paddle Co 10’6 Ride that they compromised on having no large center fin so it better suits being in the surf/whitewater conditions. Whereas, on the Newport, it’s the opposite! The result is that it may not be as responsive to turning but is gains momentum faster than the Ride in flatwater conditions. The pointed nose with significant rocker makes up for the slow turning when comparing the board’s performance in surf conditions. It’d be best in fatter, slow waves where you don’t need to turn to sharp, but the advantage with this nose is you can take off closer to the break, which means faster take-offs! Same physics apply on flatwater, the nose helps gain momentum. We loved how stable it felt and definitely would be a perfect pick for someone beginning. Not only for the sake of affordability but also the stability and the large center fin does make tracking a dream. You would think a board so lightweight (9kgs) could be prone to a bit of flex or easily affected by wind, but we found the 33” width and 6” thickness proved to make a concrete board that defies the laws of physics and floats you like a dream. The reason behind the strange combination of it being lightweight but still solid is due to the technology used in the manufacturing of the board which we explain further down. 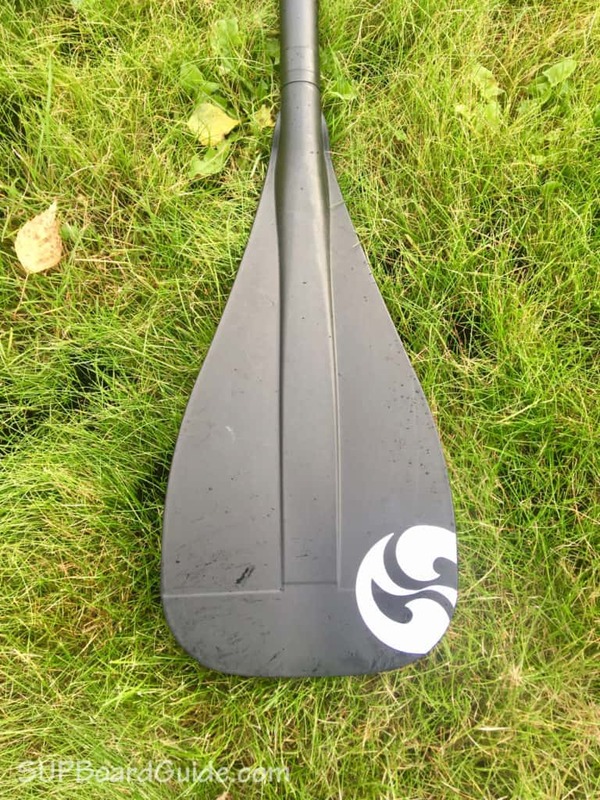 Paddling with the included paddle is on the average side but that’s easily improved by upgrading, and we’ve added our recommendations down below in the “Paddle” section. Though for the price and everything else you get, it’s not something we’re not going to cry about. All of the fins are removable which is a rare find on most iSUP’s! This means if you’re an intermediate you can switch around your fin setup to get the absolute most out of paddle! Move over standard double-layer drop stitching and make room for the new kid (well kind of new) for the Fusion Laminated Drop Stitch. Much like we’ve seen before where the core of the board (where we find the drop stitching) is then covered in 1 or 2 layers of PVC, we now see the future of all iSUPs to come that these layers are still added, but the way in which they are has changed. Instead of gluing these layers by human hand which does have its errors, now after an adhesive is added (which also acts as a sealant) the inner core is laminated by a machine. This fusing of layers sees a 30% of weight decrease compared to the traditional way of creating of iSUPs and the ability for the boards to feel stiffer at lower PSI levels. Hardboards beware; the world of inflatables is taking over!! Flip your board, and you’ll see your tri-fin setup that is all removable (tool-less too!). Quite often only 1 or 2 fins are detachable, and there are a few perks to having removable fins. 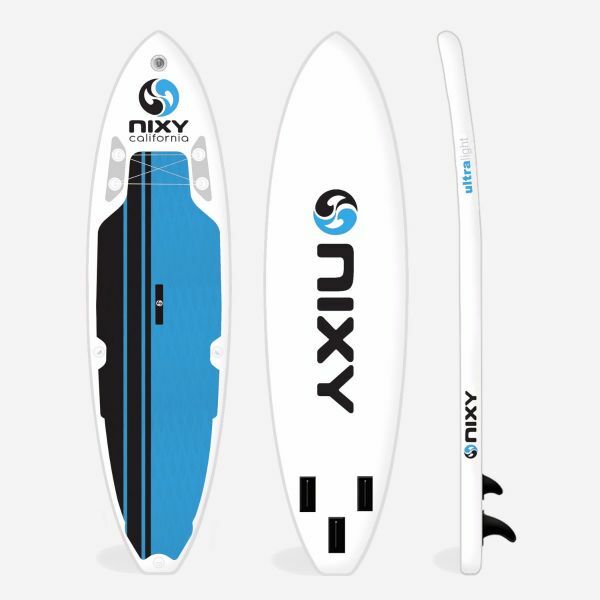 Nixy is one of the first companies to make all three fins completely removable. That’s something you usually only see in a higher price range. Great job! Inflation and deflation is done via the simple push valve system. Make sure you push the pin in so that valve head is popped up to inflate and vice versa for the deflate. The bravo pump included gets the job done in about five mins with the recommended PSI being around 15 PSI. If you are close to the max capacity weight (this includes taking gear / your dog), it’ll be worth your while to pump it closer to 20 PSI. Do not fret – the board has been designed to inflate up to 20 PSI even though it may feel like it’s going to pop! The different color schemes we thought was worth a mention. You can choose between aqua, red, blue, pink and purple. It’s nice to have options! 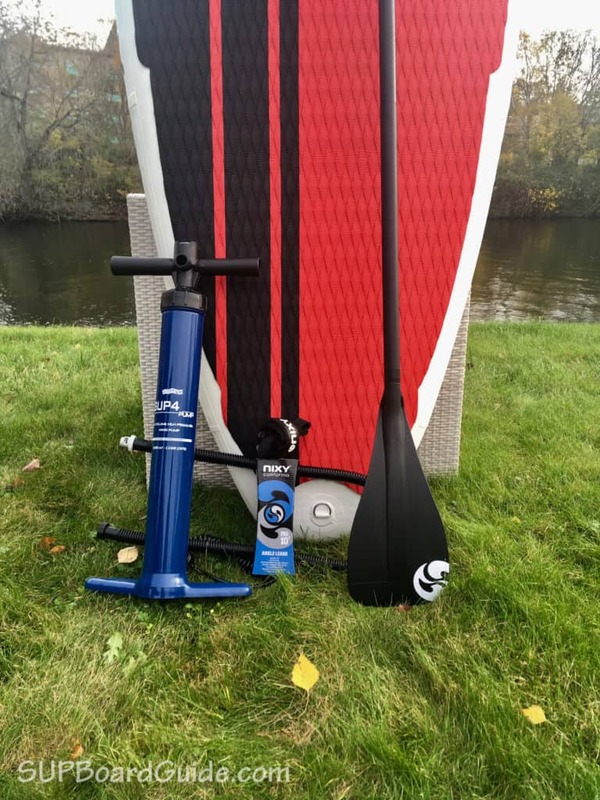 The deck pad covers all necessary area and is one of those high-quality squishy EVA diamond groove ones – perfect for kneeling and/or SUP fitness! Your Nixy Newport is as portable as it is affordable. The backpack is one of the best we’ve seen for a while – it’s versatile and has a huge amount of support and storage space. The three wheels also make it super easy to pull the back, making it really airport friendly. Even pulling it on less smooth surfaces is easy. You won’t be straining your back either with the whole kit and caboodle weighing in around 11kg. Nixy claims the board weighs just 17lbs. 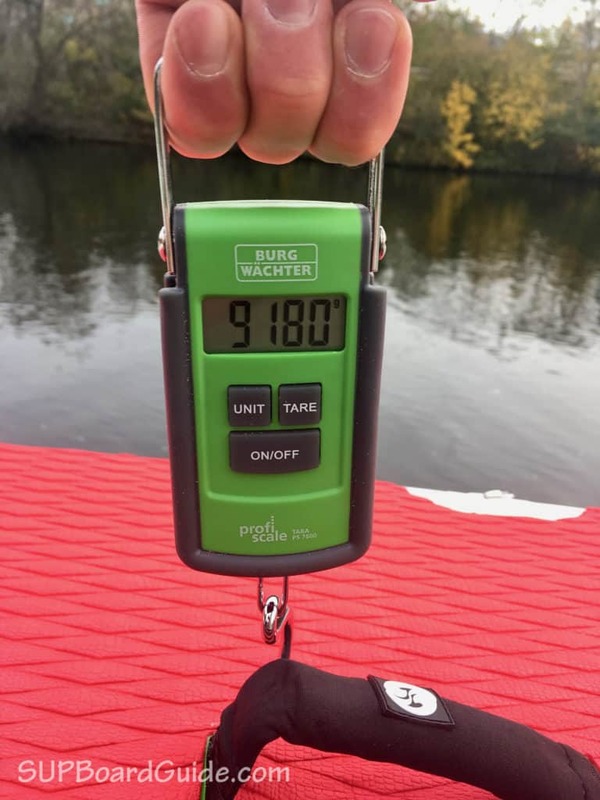 We double-checked, and our board weighed 19.8lbs (9180grams). While that’s not a huge discrepancy, it is something we wanted to point out. The board itself also has a material handle which makes carrying it easy on your hands. We do enjoy it when the company includes a paddle with the board! This particular paddle is a three-piece, aluminum uniquely shaped wonder. We love that it breaks down for travel, but we don’t love that the joints can slip a little. 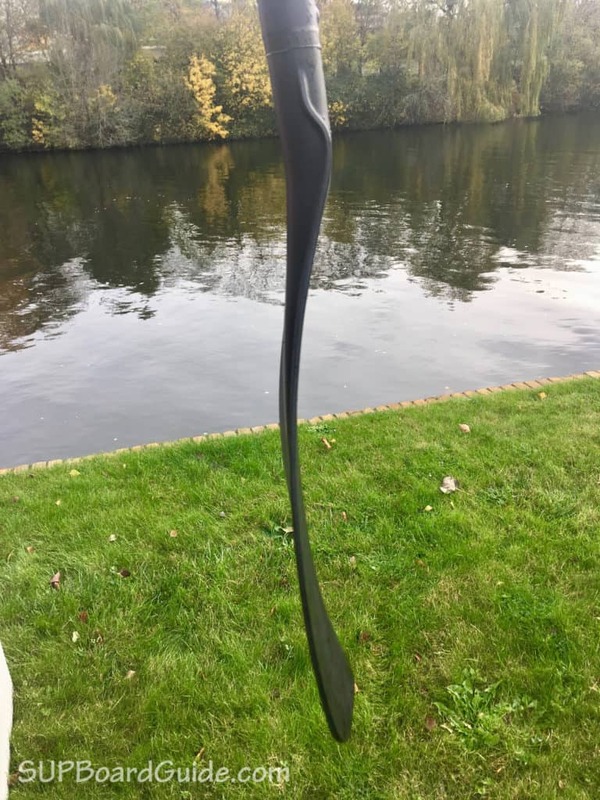 Its unique spoon-like blade enhances propulsion in the water even though it is a fairly small blade. **A tip** lift the blade from the water quickly. You’ll get the best performance out a blade this shape by doing so because otherwise, you may be lifting water instead of using it to pushing it. Nixy claims the paddle weighs 1000g. We found it to be even lighter (920g/2lbs). 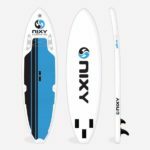 The overall paddle quality is average and what you can expect to be included with a board this price. If you want to upgrade your paddling experience check out the Hornet Jaws or Hornet Crush. Coiled leashes are always a favorite because they have less of a tendency to bounce a board back at your face, so we’re excited to see one included in this package. At 10’ long there’s plenty of give and the materials are of high quality and durable, so no worry of an easy snap! The leash is great and something we’d pay extra for if it wasn’t included. Your Bravo 4D pump included is a dual action pump with pressure reading gauge, feels reasonably sturdy and has a cool extra feature. The pump also has a deflate option! It’s always a bit annoying to try to squeeze the last bit of air out of the board by hand but no worries with this pump. It’s a reliable pump, but if you want to avoid the pre-workout Nixy also offers electric pumps. The backpack is fantastic. Probably the best we’ve seen. Constructed of heavy-duty nylon and PVC, doesn’t feel like it will rip or tear easily. The storage inside is plenty, and there are Velcro straps inside to store the paddle securely. As we mentioned earlier, the support through the shoulders and back is plentiful, and extra padding inside not only protects your board but keeps parts from jabbing into you. You know those damn trolleys at the supermarket that have a mind of their own and are impossible to steer? Well, we are pleased to say this backpack when used as a wheelie bag isn’t like – very stable to pull. Should I buy it? And if not, what else? Given what you get for this price tag, you’ll be pressing to find a better deal. 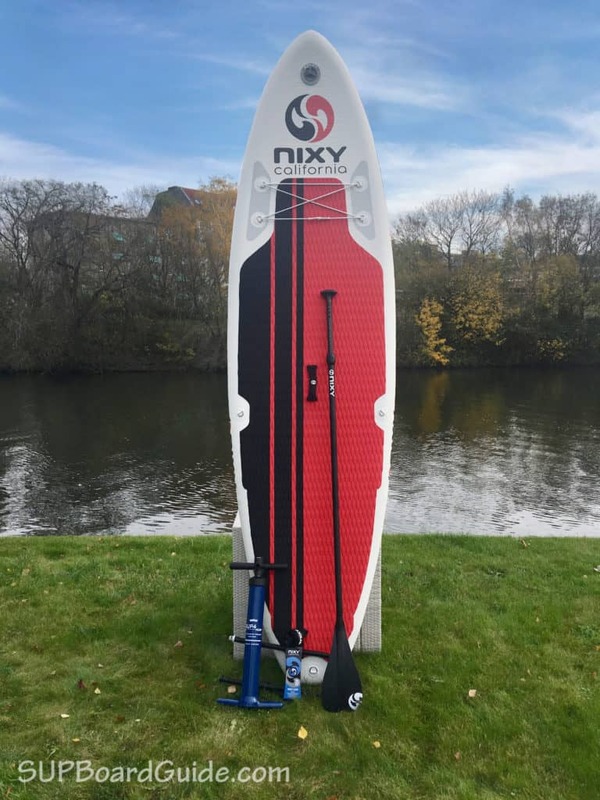 iRocker has boards around the same price, and the quality of the board is comparable, but the Nixy is the lighter option. If you are a beginner, this is PERFECT. 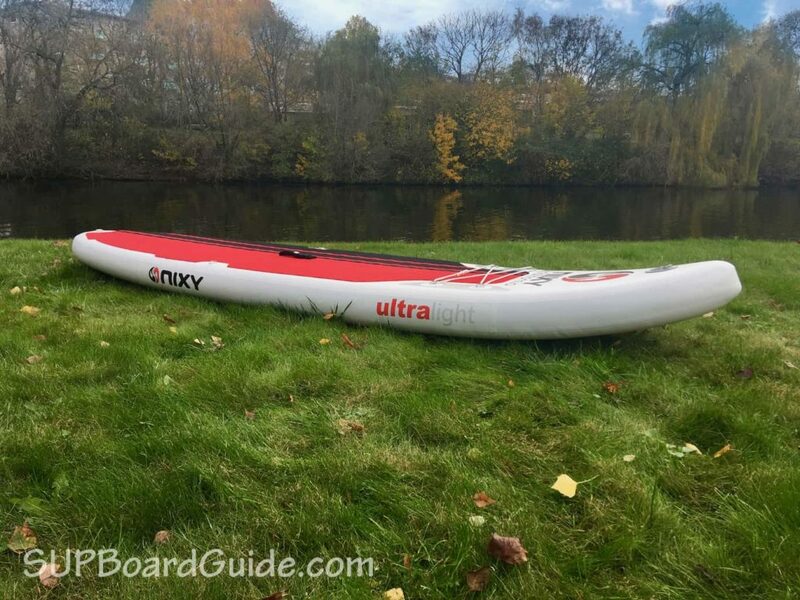 It’s affordable, a little wider than other SUP’s in the same category, so it’ll be very stable for you and all gear to get started is included. If you are at an intermediate/expert level, you may find this board a bit sluggish in certain conditions. 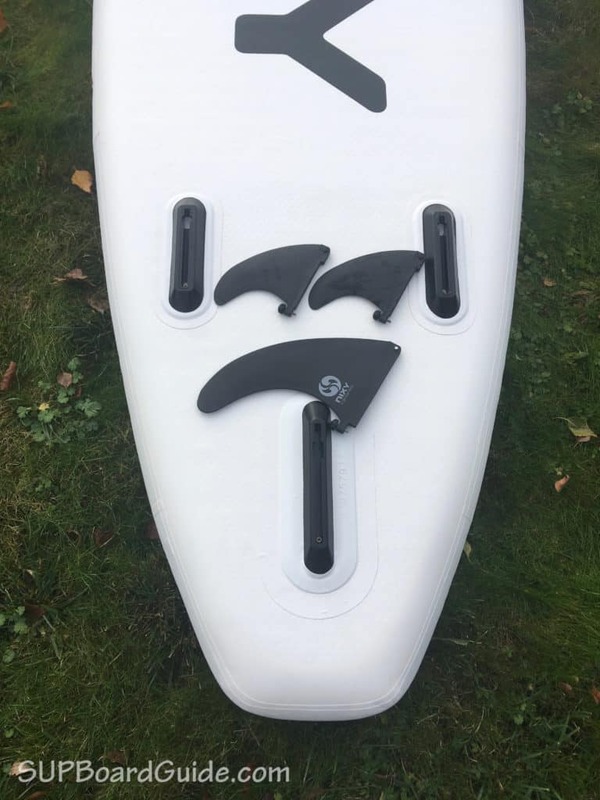 For anyone getting into paddle boarding, however, this is the perfect entry level board at a very reasonable price. Whichever you choose, we just hope it’s soon so you can come join us out on the water asap! I am looking for a board to use mostly for leisure on the ocean – in a sheltered bay (but which can chop up a bit). I am a confident beginner – but the board would also be intended to be used by total beginners. I have been looking at the Irocker cruiser and 10′ all arounder. All users would be under 5’10” and less than 170 lb. Is this a good alternative (I like the fact that it is light). the Nixy is a little more responsive and easier to maneuver. The Cruiser offers more stability but definitely isn’t as sporty. The total beginners will feel the beginner wobbles less on the Cruise or All-Around. However, the Nixy will be better suited for choppier conditions and given that you’re all light and not very tall I’d go for the Nixy. I’m trying to decide between this, the 2018 iRocker Cruiser or 10′ All Around. I’m brand new, will be using mostly for flatwater (river nearby) and want to be able to take my dog. I’m 5’9′ and weigh 185. 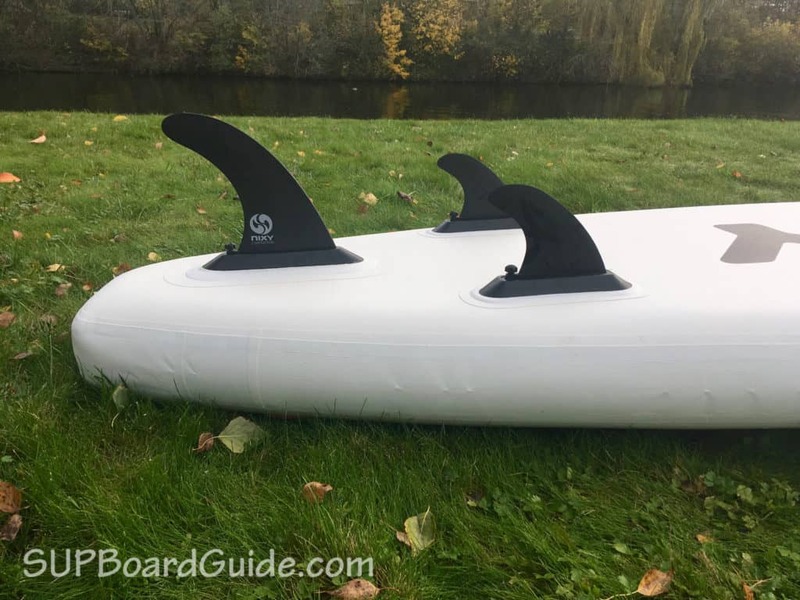 I would like something that can handle some small waves or I can paddle for fitness, but also definitely need stability. I was out on a 10’6″ (I think 33″ but might’ve been 32″) wide board recently with my dog and when he moves around I really struggled with stability. Would also like to do yoga on it! Help me out deciding please =). I think the Cruiser would be better for you. The wide tail will help with your stability. It won’t be as responsive in small waves as the All-around but if you plan on flatwater paddling more than being in small waves, I think you’d prefer the stability. Alternatively, you can look at the Blackfin Model X, it’s a bit wider and sturdier but still can move quite well. I took the cruiser out and it felt very stable but a bit slow. Also the backpack with everything is heavy, though nothing I can’t handle. How would you say this one compares? And is the deck pad the same on this and the iRocker? 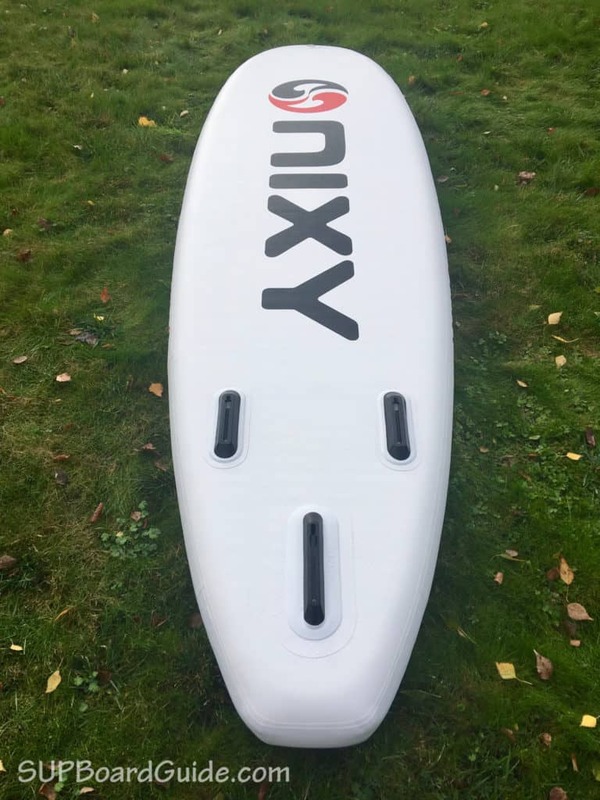 The Nixy is a lighter board however the reason the iRockers are heavier is that they are more rigid AKA can hold more weight. I guess that’s something you need to weigh up. The weight of the board compared to the capacity it can hold. Nixy holds 300 lbs whereas the Cruiser is 400 lbs. I believe they are the same type of traction, that is diamond grooved. The Nixys pad covers a little more deck area though. I am a beginner looking for a board that will be used on a huge lake, with some chop from boats. I am petite at 5’2″. I would like to be able to take my daughter who is 8. Used mostly for leisure but don’t want to get bored with it either. I was looking at the Nixy (light weight) or the the irocker 11′. As far as shape goes, the All-Around and Nixy are similar. 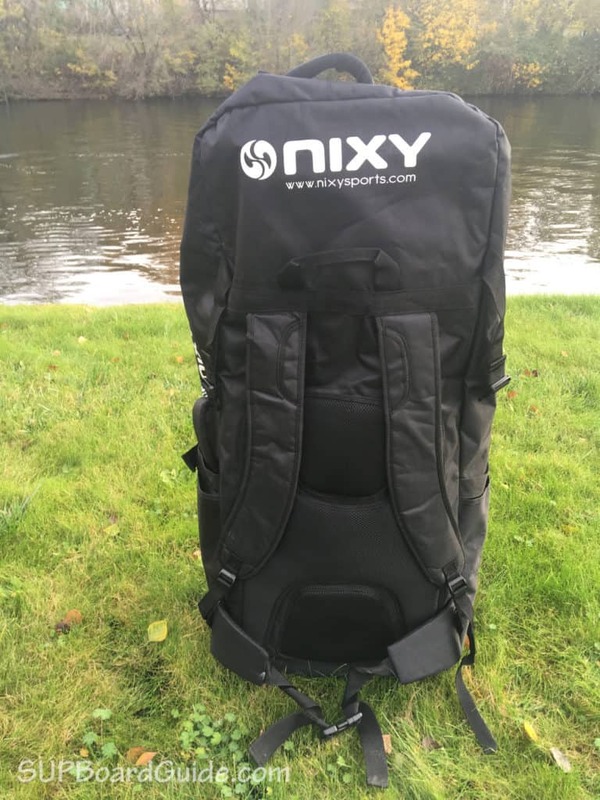 The Nixy is lighter because of the materials. The All-Around has more durable and rigid materials, so makes for better stability and allows a greater weight capacity (Nixy is 300 lbs, All-Around 435 lbs). So depending on your combined weight one or the other will be better. If you don’t mind the extra weight of the All-Around (It is a little heavy but I manage, I’m pretty small!) then you’ll have more stability. Though if you want the lightweight option, so long as your combined weight is a bit under the 300 lbs, you’ll have loads of fun too!